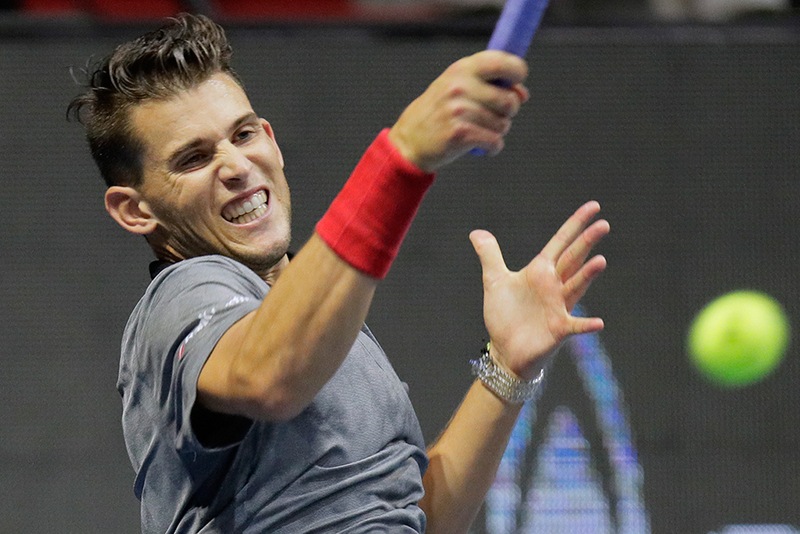 Paris: Victory in St Petersburg lifted Dominic Thiem one place in the ATP rankings, which Rafael Nadal still leads comfortably. The Austrian climbed to seventh on Monday, exchanging places with the Bulgarian Grigor Dimitrov, in the only change in the top 20. Lower down, the Slovakian Martin Klizan, who lost to Thiem in the final on Sunday, jumped 16 places and squeaked into the top 50 for the first time since July 2017, at No. 49. Stan Wawrinka, winner of three Grand Slam tournaments, the last in 2016, rose 13 places to 75 after reaching the semi-finals in Russia. It is the highest ranking for the 33-year-old Swiss since a double knee operation in August 2017.